Physical retail stores are playing catch-up with their digital rivals and the next five years will see major changes. The shopping experience that customers experience online is the one they now want in physical stores, according to managed service provider CompuCom in its 2017 paper “Making the Store of the Future a Reality”. Retail stores will need to align and combine the best of digital in a physical environment, and guest Wi-Fi will play a fundamental role in this effort. Brick and mortar stores must leverage the advantages they still have over pure-play ecommerce, while compensate for their weaknesses. The big draws for customers to visit physical stores continue to be the ability to feel and touch merchandise for themselves, the instant gratification of a purchase without waiting for delivery, and personal interaction with store representatives. Physical store limitations include higher prices because of higher costs, possible stock-outs, difficulties for customers to make instant comparisons or pairings of different goods (find shoes to go with a shirt, for example), and lack of personalized deals. Delivering a personalized experience to shoppers is now the big focus for retailers as they try to catch up with the lead established by online stores. Consumers want more immersive buying experiences, rather than the basic transactional ones. Retailers are testing different models to create this next level experience, some of which are futuristic. For example, digital signage can enable dynamic deals, as facial recognition allows shop systems to tailor offers on the fly to shoppers, and tablets strategically placed in stores make special offers and suggestions available in real time. Elsewhere, robotic systems pick out exact sizes of apparel from back-of-store reserves and deliver directly to changing booth, where customers can try and even buy directly by swiping their credit card in the booth. But while such futuristic solutions may let stores wow their shoppers, other solutions such as guest Wi-Fi are more immediate and affordable. As research from McKinsey, points out, more than 60 percent of Americans have a smartphone and 80 percent of these consumers are “smartphone shoppers”. In other words, they use their smartphones while in the store to compare prices, features, product reviews, and comments from other shoppers on social media. The same communications channel that consumers use for ecommerce is the one they wish to use inside stores too. Guest Wi-Fi is the fabric that enables that experience. While shoppers physically see, and touch the products before them (something ecommerce cannot offer), they can make comparisons and gather information over their smartphones too (armchair shopping, but now in-store). Content insertion. With the right technology, retailers can easily insert information and promotional content into shoppers’ guest Wi-Fi connections, making this additional content discreetly visible without disrupting other activity on the smartphone. App experience. Retailers are now trying out new mobile apps for shoppers to use and enhance their in-store experience. CompuCom cites the case of beauty products retailer Sephora, which offers deep product information via in-store iPads (scanning the product to find the content) and the same possibilities via its mobile app already downloaded more than 1 million times. With the right solution, retailers can also offer even greater ease of use to shoppers by offering app functionality over guest Wi-Fi in the shopper’s mobile browser, thus avoiding even the need for download. Data collection and analytics. As customers use guest Wi-Fi, retailers can gather information not only on the types of devices being used, but also on the popularity of different promotional content, the number of clicks gained, and more valuable data. Simple, but effective big data can show which deals are resonating best with which categories of customers, allowing retailers to tune their content accordingly. While ecommerce has taken away market share from physical retailing organizations, traditional stores still have advantages that online rivals do not. 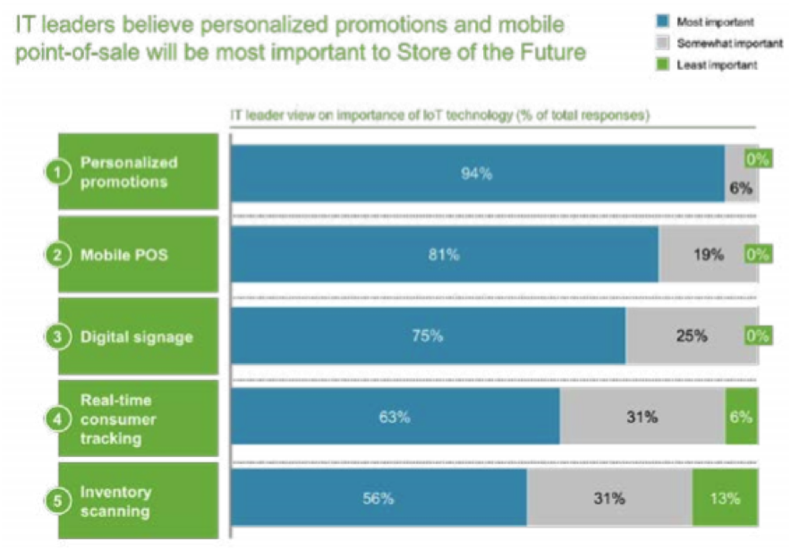 However physical stores need to act now to leverage their physical position by embracing the right guest Wi-Fi platform and provide a frictionless personalized experience to their shoppers. However, affordable guest Wi-Fi solutions are available today, such as CaptiveXS from RaGaPa, which offers all the content insertion, in-browser app, captive portal with social login, content filtering and data collection and analytics functionality on top of a secure, easy to use guest Wi-Fi platform. The long-term success of physical retailers will then depend on their ability to “think digital” and leverage the considerable opportunities that guest Wi-Fi and associated solutions now offer them.